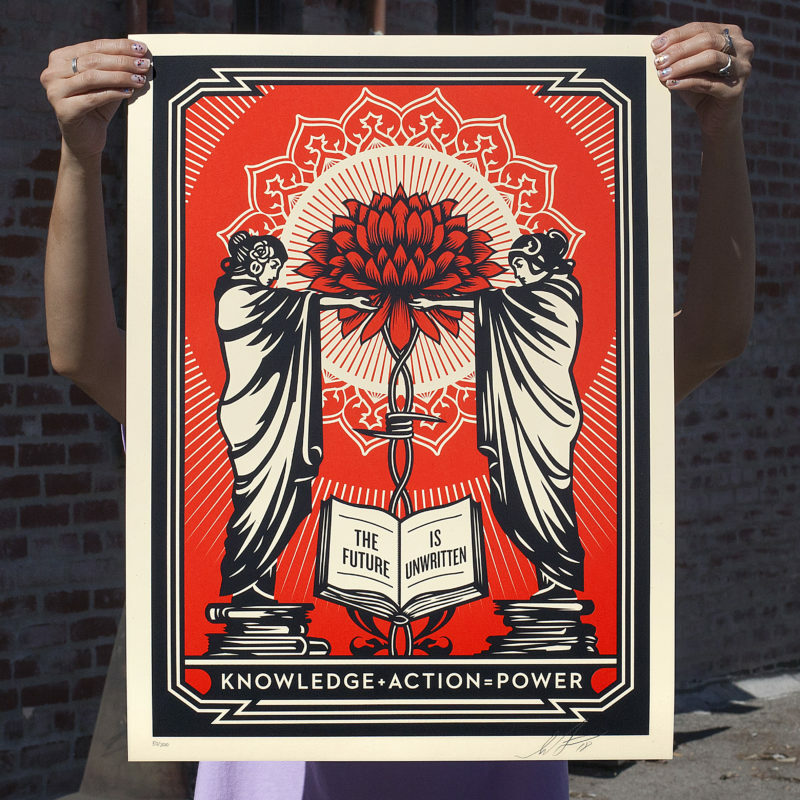 Knowledge + Action Print Available 11/8! Knowledge + Action. 18 x 24 inches. Screenprint on cream Speckle Tone paper. Signed by Shepard Fairey. Edition of 550. $45. 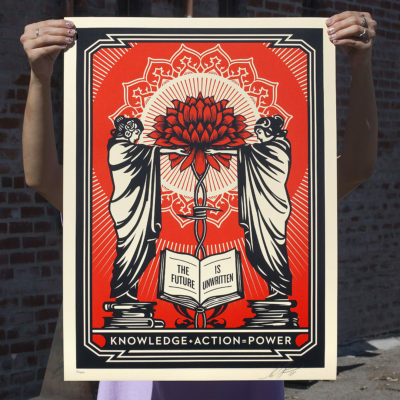 Available Thursday, November 8th @ 10AM (PDT) on ObeyGiant.com in Store under Prints. Max order: 1 per customer/household. International customers are responsible for import fees due upon delivery.